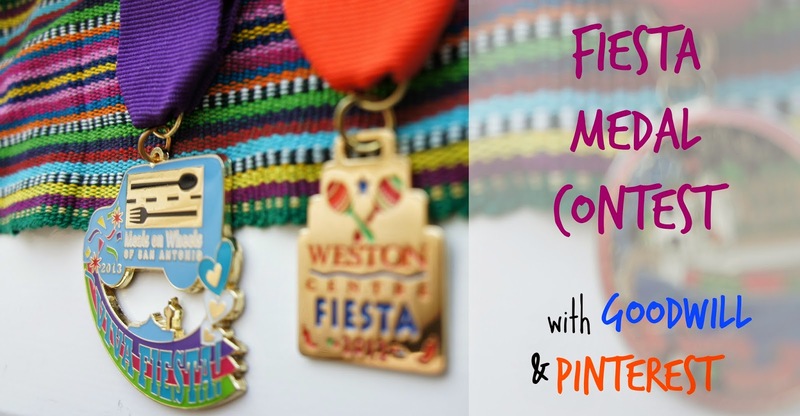 Fiesta Medal Contest with Goodwill & Pinterest! Collecting medals during Fiesta is sort of an Olympic sport for some San Antonians! I have not been an avid collector, but I know better than to turn a medal down. So, when the Goodwill contacted me about a giveaway for their medal, I was in! One for me and two for you! 2. Tag @goodwillsa and @familylovesa and at the end if Fiesta, we will choose two winners! 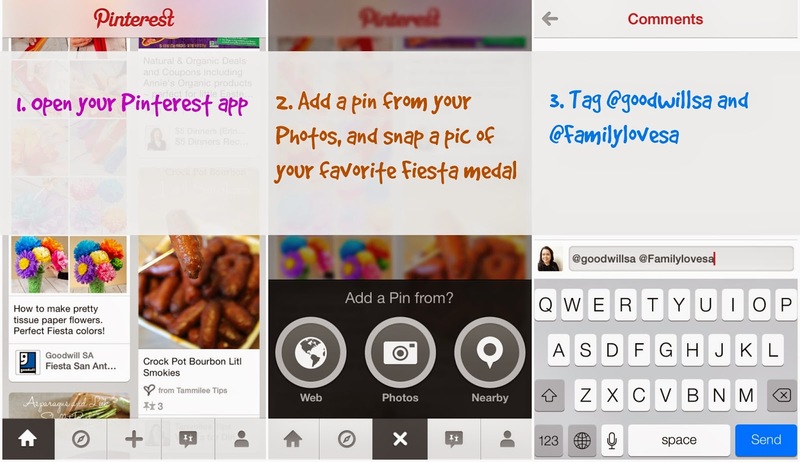 So pin away and viva fiesta!